The future of the iPhone is coming into focus, even if it is a bit abstract at the moment. Reports are beginning to surface that Infineon, a German chipmaker, will provide Apple with a new chip set for the next-generation iPhone — let’s call it iPhone 2.0. According to analysts from the investment bank UBS, iPhone 2.0 is set to launch mid-year, which means we may actually see it sometime in late summer or early Fall. 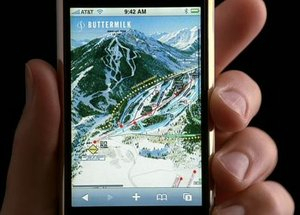 The new chip set is expected to bring faster 3G network capabilities to the iPhone, a much-anticipated upgrade. 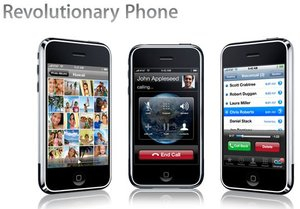 In the meantime, Apple announced the other day it will release “the iPhone software roadmap” on March 6. Many around the Web believe this will be the much-anticipated software developer kit (SDK), although there is speculation that it might be just a roadmap and that the actual SDK won’t be released until later in the Spring. No matter when it’s released, the SDK is important because it will allow third-party developers to write specific applications for the phone, essentially giving it a “new” feeling — let’s call this one iPhone 1.5. Taken together, iPhone 1.5 and iPhone 2.0 bring the future into focus, propelling Apple toward its oft-stated goal of selling 10 million iPhones by the end of the year. Third-party applications appeal to holdouts like the enterprise market who have been waiting for the additional functionality found on smartphones from Samsung, Sony Ericsson, Motorola, Nokia, and Research in Motion (Blackberry), among others. Another set of holdouts are those who want the faster data capabilities of 3G networks, which is important to the overseas market. Assuming iPhone 2.0 is released early enough to impact sales, Apple should hit its mark of selling 10 million iPhones by year-end. Reading between the lines, Tim Cook, Apple’s COO, hinted at this timing. The iPhone is already an “incredible accomplishment,” he told the Goldman Sachs Technology Investment Symposium Wednesday, but it has far more potential in the long term (Cook’s presentation). “I need a bigger word than ‘enormous’ to describe it,” he said. Some people are saying that the SDK won’t even be showing up at all until WWDC this summer, that would not be a great thing for all of us who bought the iPhone on day one and have been waiting for the SDK since it was first talked about months ago. iPhone is really an incredible accomplishment by Apple. But will the same shape with little firmware changes will keep on rocking? Apple apparently wants third party applications on the iPhone and iPod touch just like every other sane individual on the planet. The company just announced on its Hot News feed that it is currently at work on an SDK for the iPhone, the apps that will work on the iPod touch.